Linen i many colors in brown, peach, black, olive etc. 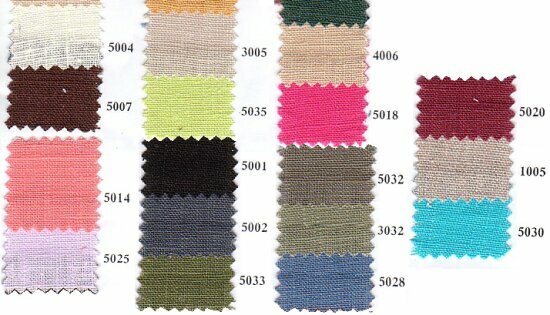 Fabric in 100% linen for summer clothing, light clothing, pants, jackets, skirts etc. Its pre-shrunk so max. shrinkage is ca. 2%.